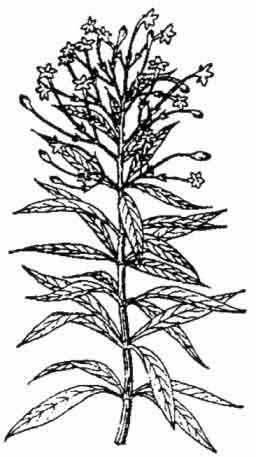 The use of spices and medicinals as bioactive protectants for grains. Chapter 3h. Habitat Native to Europe, introduced into North America. 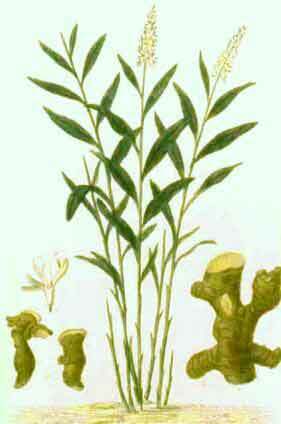 Uses Leaves, shoots and seeds used in Chinese medicine. Constituents Reported constituents include solanine, saponin, oil, dihydroxystearic, linoleic, tetrahydroxystearic, palmitic and stearic acids. Roots, shoots and mature fruits are low in alkaloids but green fruits contain solanine. Solasodine, solasonine, solamargine, b -solamargine and a -b -solansodamine, solanigrine, gitogenin, traces of saponins, tannin (7-10 percent), diosgenin (0.4-1.2) and solasodine (0.09-0.65 percent). syn. C. indicum O. Ktze. 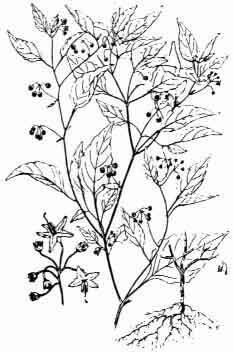 Constituents Leaves, stems and flowers contain the triterpenes a -amyrine, b -sitosterol, lantadene B and rehmannic acid. 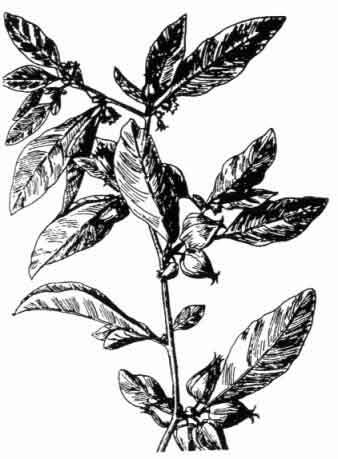 Leaves contain lanthanine (or lantadene A) (0.2-0.7 percent), lantadene B (0.2 percent), icterogenin and essential oil (0.05-0.2 percent). syn. 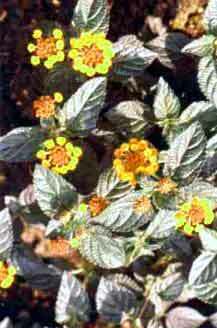 Lantana lippiodes Hook. & Arn. Uses Whole plant used as a fertiliser; leaves have insecticidal properties; used against storage pests. syn. 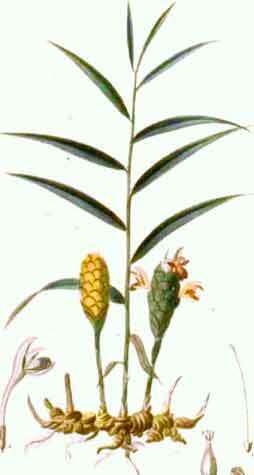 V. spicata Lour. 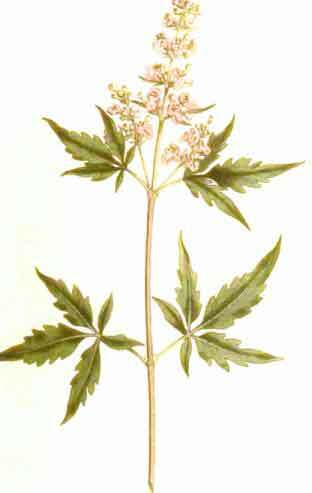 ; V. paniculata Lamk. Uses This is used as a traditional medicine in China, Indo-China, Indonesia and the Philippines. Exposure to a combination of citronella and lagundi oil (1:1) in a fumigation flask caused knockdown of adult S. cerealella. (No figures were given). Leaves One percent admixed with freshly harvested paddy, field-infested with S. cerealella, significantly reduced the number of emerging F1 adults during four months of storage. One percent (w/w) admixed with wheat did not reduce adult mortality or percentage damage by S. oryzae after an exposure period of 14 days. Two percent (w/w) admixed with either maize or mung bean caused 5 percent, 6.7 percent and 23.3 percent adult mortality in S. zeamais, R. dominica and C. chinensis respectively after a 24 hour exposure. Three percent admixed with black gram reduced damage by natural infestations of C. chinensis significantly during a nine month storage period. Three percent (w/w) admixed with wheat reduced oviposition (3.1 eggs), adult emergence (nine insects) and prolonged development of R. dominica (50.7 days) with regards to the control (17.1 eggs, 77.3 insects and 40 days respectively). Admixture of 5 percent (w/w) leaves did not significantly reduce the percentage of infestation and damage by S. zeamais on maize, relative to the control, during a six month storage period. Five percent (w/w) admixed with maize reduced percentage weight loss (10.9 percent) by S. zeamais when compared to the untreated control (37.2 percent). Aframomum melegueta (Rosc.) K. Schum. Uses Used as a spicy masticatory in West Africa. Seeds used as a condiment. syn. Languas galanga (L.) Stuntz. 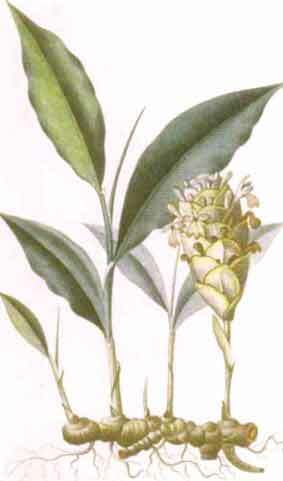 ; A. pyramidata Bl. Rhizome powder Two percent (w/w) admixed with cowpea did not cause a significant reduction in oviposition and adult emergence of C. maculatus after an exposure period of ten and 70 days respectively. Three percent (w/w) admixed with wheat caused 53 percent mortality in adult S. oryzae compared to the control (29 percent) after 30 days. F1 emergence was reduced by 98 percent compared to the control. Petroleum ether extract of rhizome Extract applied to green gram produced an LD5 0 for adult female C. maculatus of 0.05 mg/kg, and an LD9 9 . 9 of 4.1 mg/kg, following a 24 hour exposure period. Male insects were slightly more susceptible with an LD 50 of 0.01 mg/kg and LD9 9 . 9 of 1.5 mg/kg. Turmeric is known to contain pungent odoriferous oils, oleoresins and other related compounds. The oleoresins consist of curcumin and other related compounds. The chief components of turmeric oil are sesquiterpene ketones in the form of turmerone and a -turmerone. Description Perennial herb growing to 60 cm in height with lance-shaped leaves and spikes of white or yellow flowers. Powdered rhizome Two percent (w/w) admixed with cowpea did not cause a significant reduction in oviposition and adult emergence of C. maculatus after an exposure period of ten and 70 days respectively. Three percent (w/w) admixed with wheat caused 56 percent mortality in adult S. oryzae in 30 days, compared with 29 percent in the untreated controls. The emergence of F1 adults was reduced by 60 percent compared to the controls. Three percent (w/w) admixed with green gram caused 58.8 percent adult mortality in C. chinensis after a 15 days exposure compared to the control (12.5 percent adult mortality). Constituents Include the sesquiterpene zingiberene, zingerone, b -camphene, b -phallandrene, cineole, citral, borneol and zingiberol. Methylheptenone, nonylaldehyde and linalool have also been reported.